According to andpizza’s website, the new location will be at 740 Broadway, New York, NY 10003 at the corner of Broadway and Astor Place in the East Village. Astor Place is becoming the new Flatiron District in that ingredient-bar, customization lunch places are thriving in the area. &pizza joins an already crowded franchise-heavy Astor Place with sweetgreen and Chop’t and Bluestone Lane, all in the same couple blocks — with the Shake Shack coming soon. &pizza brings gourmet-style and oblong-shaped pizza to the masses. The lines are long, but it’s worth the wait. It’s a surprisingly quick process with conveyor belt cooking, unlimited toppings and all for a reasonable preset price (NoMad location’s price comes out to about $11 after taxes). We don’t doubt that it’ll be swamped when it opens. When will &pizza Open in Astor Place? A quick search on the opening date for the new location didn’t yield much more detail. Outside of a Bedford & Bowery July post about the location, we did dig up a Craigslist posting that was holding a “hiring event” for the Astor Place location in mid-August. [UPDATE] I came across insider info that the Astor Place &pizza will open Tuesday, October 3rd! &pizza is looking for new Tribe Members to join the team. Our Tribe Members take pride in crafting perfect pies and providing our guests with an unforgettable, elevated experience. Our high standards in food preparation and quality, coupled with teamwork and guest satisfaction make the &pizza experience best in class. If you’re seeking a fun, challenging, and rewarding opportunity with room for growth, then this position is for you. As part of &pizza’s opening promotion in Astor Place, they’ll be offering a FREE ampersand (“&”) tattoos to the first 23 people in line on opening day. It’s a similar, odd promotion that the company has run in the past. We’ll update this post when we get confirmation of the opening date — or you can sign up for official &pizza updates. If you work and/or live in the Astor Place area, you’ve most likely already lunched at sweetgreen or Chop’t. 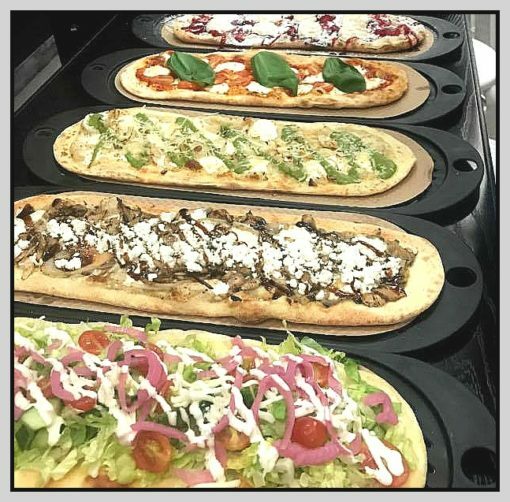 &pizza has a similar format where you select your base (dough), then add on your choice of toppings and sauces, as you pay your pizza is cooked on a conveyor belt oven, and is ready for you by the time you finish paying. When you’re waiting in line, why not download the &pizza App and get $5 off your first purchase. Use this link to download the Android or iOS app and your account will be automatically credited with five dollars. 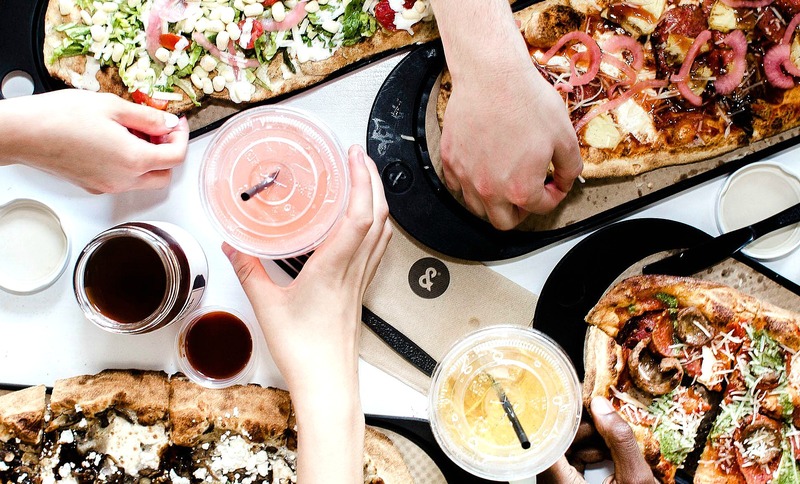 Andpizza is an exciting addition to your lunchtime/dinnertime rotation, and at approximately $10 a pizza (or $5 with a promo code), it’s well worth the (little) effort and (little) wait it takes to get your overflowing foot-and-a-half pizza.